The Trappist Monastery was established in 1892 by five members of the Trappist Order from the Abbey of Bellefontaine, France. 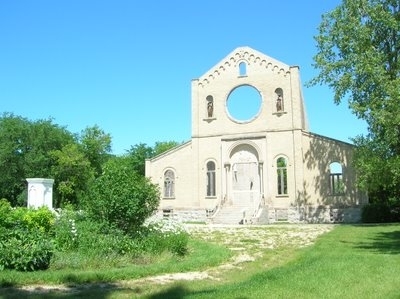 In 1978, the Trappists moved to a site near Holland, Manitoba, to protect their contemplative life from the effects of urban sprawl. Fire gutted the vacated church and residential wing five years later. Additional information about the Trappist monks and the monastery is on display at the remaining ruins.